A book by Colombia’s former President Juan Manuel Santos that is set to be released on Tuesday has fueled the fury of supporters of his controversial predecessor, former President Alvaro Uribe. In excerpts of the book that were released in Colombian media and in Spanish newspaper El Pais, the Nobel Peace Prize laureate took several jabs at his increasingly radical predecessor and the staunchest opponent of the peace deal signed by Santos and now-demobilized FARC guerrillas in 2016. Santos’ claim that Senator Jose Obdulio Gaviria, Uribe’s former presidential adviser and the cousin of late drug lord Pablo Escobar, had requested to illegally wiretap former Liberal Party Senator Piedad Cordoba, spurred a furious response from the Medellin politician. 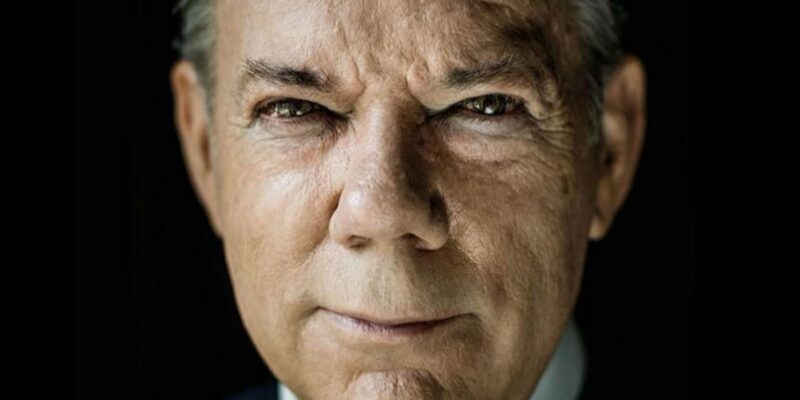 “Santos is definitely the biggest liar in Colombian politics,” the far-right politician told W Radio on Tuesday. Also Uribe responded furiously after Santos called him out on his rejection of Santos’ talks with the FARC years after Uribe was holding peace talks with the ELN, the country’s last-standing guerrilla group. As if that wasn’t enough, a published anecdote about the two former presidents’ visit to Pope Francis in a failed attempt by the Vatican to get Uribe on the peace bandwagon triggered further anger. Within hours, hashtags like #SantosMentiroso (SantosLiar) and #SantosTraidor (SantosTraitor) went viral on Twitter in the latest of clashes between the increasingly radical “uribistas” and other political movements. Santos let the storm pass while proceeding with the promotion of “The Battle for Peace,” which initially will appear only in Spanish. It is the history, not only of the peace process that transformed a country, of its secret contacts, its international implications, difficulties and achievements, but also of the two previous decades in which Colombia hovered between the military confrontation and the negotiated solution.